The City of Cork is one Ireland’s most historic locations however in recent years it has been slowly becoming a much more varied destination. The city itself is built on the water, and the centre is actually an island built in the middle of the River Lee just off the harbour. The River Lee actually has two channels which encompass the city and there are many historic bridges between the different parts of the city. Due to it’s location spanning the river gives Cork something of a continental feel like Stockholm, Amsterdam or even Venice. As a tourist destination Cork has grown in popularity over the last decade, although not one of the larger European cities Cork certainly warrants more than a day trip as there are many things to do and see. For architectural fans the highlights are probably the French styled gothic spires of St Finbarre’s cathedral and another impressive church is that of St Annes also famous for the Shandon Bells which are housed there. Those are just a couple of starters, but in reality Cork is full of architectural beauties and also due to it’s position there are some wonderful views in all directions. There are also a host of art galleries, theatres and it has some of the best museums in Ireland. 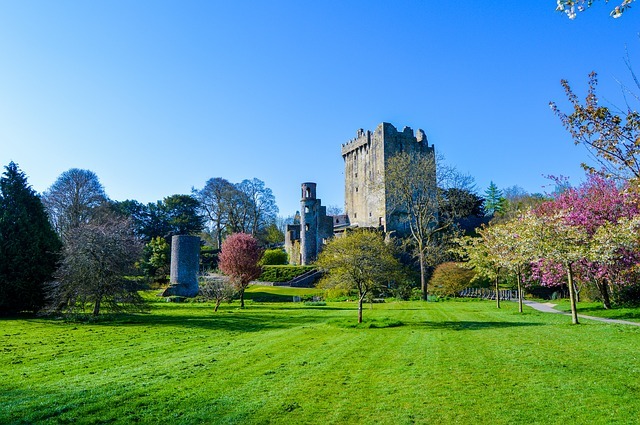 For many visitors though especially from America, there is an must-do day trip out from Cork to Blarney Castle. The castle is particularly famous as the site of the Blarney Stone. There is an ancient tradition that anyone who kisses the stone will be granted the gift of eloquence. Another popular nearby location is that of Kinsale which many consider to be the gourmet capital of Ireland. Cork attracts many different types of tourist and indeed the variety of different experience has been part of it’s recent success. The Lonely Planet actually voted Cork as one it’s top locations in their 2010 Visitor Awards, which is high praise when you consider the competition is worldwide. It’s pretty accessible too at least whilst the UK remains in the European Union. It has a very modern infrastructure too which supports the hotels and guest houses of the cities, it’s easy to access superfast broadband and if you are able to use a residential VPN service like this you can pretty much access any sort of region locked web site while you are there. You should also remember that since being the European City of Culture in 2005 Cork has become home for a huge number of festivals and fairs. These greatly add to the diversity of the city however it can make finding affordable accommodation difficult when some of these are on. It’s best to check out he timetables of these events which you can find on the Cork Tourist Board events page. Finally one more area which brings many visitors to Cork is through it’s support for various sporting events. There are many stadiums where you can watch Gaelic hurling, football and even watch greyhound racing at Curraheen Park.